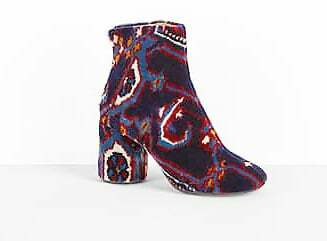 I have spent many an hour scouring this planet for shoes inspired by carpets. 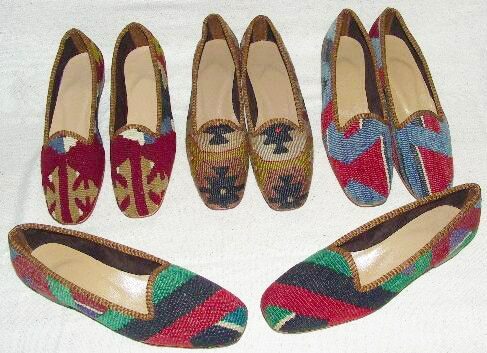 I have personally owned and loved more than a few Kilim shoes and flats. 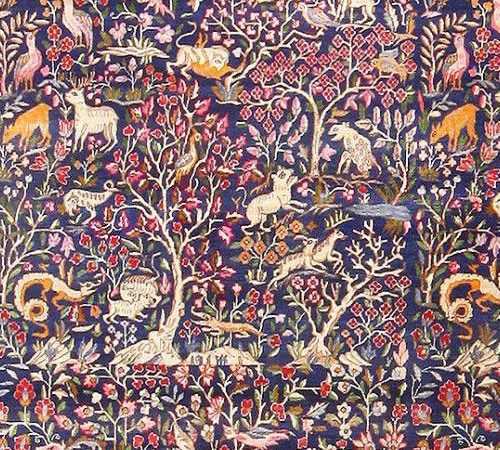 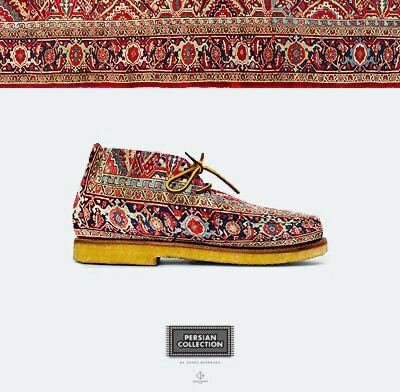 Much to my delight, designers often integrate carpet motifs or actual fragments and pieces of rugs into housewares and sometimes even shoes. 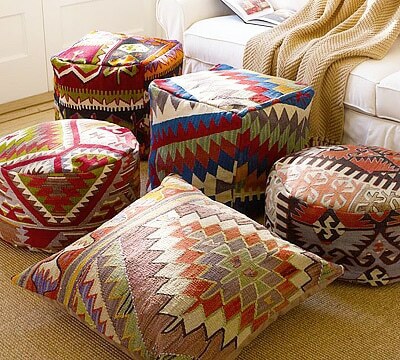 Due to the nature of the kilim rug, which is light, fun and a flat weave rug, they can be easily be appropriated and transformed into a variety of goods, like chairs, poufs and shoes. 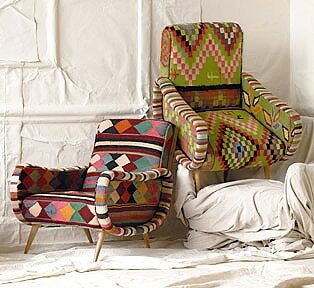 Below you can see a couple of my favorite Anthorpologie kilim rug chairs for your home decor. 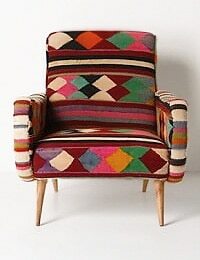 I love the tribal feel and soft saturated colors of the Anthropology rug chairs! 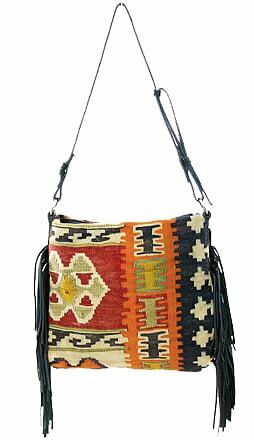 Below is a beautiful and fashionable women’s bag by Tylie Malibu that was made out of a vintage kilim rug fragment. 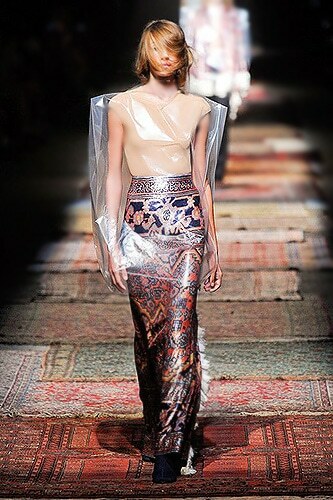 But it is Maison Martin Margiela who has designed their entire line around the Persian carpet. 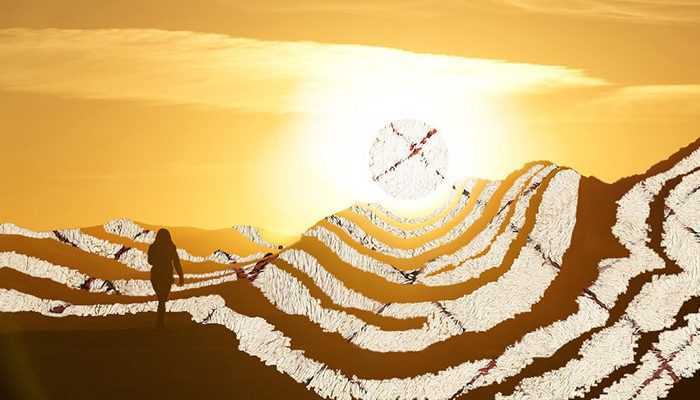 Are you wearing your carpets out?